A new report is published today evaluating the impact of the Breastfeeding Network’s Drugs in Breastmilk Information Service. This service provides evidence based factsheets and one to one support about taking medications or having medical procedures while breastfeeding to over 10,000 parents and professionals each year. The Drugs in Breastmilk information service was set up more than 20 years ago by the Breastfeeding Network and has been funded by the charity ever since. It was established in response to reports of many breastfeeding women receiving inconsistent or inaccurate advice from some health professionals when they were prescribed a medication or procedure. This service enables them to access the latest evidence-based information on risk, from an experienced pharmacist. The research, led by Professor Amy Brown in the Department of Public Health, Policy and Social Sciences at Swansea University, will be presented at the All-Party Parliamentary Group for Infant Feeding and Inequalities in Westminster today. It explored the experiences of mothers, health professionals and mother supporters who had used the service. The evaluation found that the majority of mothers who contacted the service were enquiring about every day medications and procedures, such as antidepressants or antihistamines, where there is an established evidence base that continuing to breastfeed whilst taking these medications is not harmful. Yet women had been told by their GP or pharmacist that they could not continue breastfeeding whilst taking it. On contacting the service, mothers were given the information that they could continue meaning that many had the confidence and reassurance to continue breastfeeding for longer. Professor Amy Brown explained ‘The findings are a concern as we do not know how many women did not contact the service and stopped breastfeeding through incorrect advice from medical professionals. This service is clearly plugging a gap in the knowledge of some GPs which should urgently be tackled by considering how medical professionals are trained not only in the risks of medications and breastfeeding but also in the value of breastfeeding for many mothers. Mothers highly valued the information they were given by the service as it enabled them to continue breastfeeding and take the treatment they needed. But they also particularly valued the support and reassurance given by the service around making any decision. Mothers described how before contacting the service they often felt dismissed and that their desire to breastfeed did not matter, but after contacting the service they felt reassured and listened to for the first time, describing the service as ‘a lifeline’. Indeed, the evaluation examined how mothers felt before and after contacting the service, highlighting a highly significant improvement in maternal wellbeing, Mothers reported they felt more informed, confident, reassured, supported and listened to after contacting the service, even if they were given the advice that they couldn’t breastfeed whilst taking a prescribed medication. Dr Gretel Finch, Research officer for the project noted ‘We expected to see that the service would be rated positively by those who used it but were struck by just how significant the impact was for maternal wellbeing. Even when mothers were told that they could not breastfeed and take a medication they reported feeling listened to and cared for, rather than simply being told they couldn’t breastfeed. Given what we know about the devastating impact not being able to breastfeed can have for maternal mental health, this service is playing a key role in helping alleviate that by providing women with answers and support, rather than a simple ‘no’. The report found that for many mothers, if they had not received information from the service, they would have made the decision not to take their prescribed medication, rather than stop breastfeeding. GPs often assumed mothers would stop, but in reality, they valued breastfeeding so strongly that they would put their own health at risk in order to continue doing so. The evaluation clearly shows the impact the service has and the gap that it is filling. As a result of the report the Breastfeeding Network are calling on the government to ensure that this gap is not left to a charity organisation to fund. Shereen Fisher, Chief Executive of the Breastfeeding Network, who commissioned the evaluation, said ‘Many of the mothers who contacted the service stated that they were only able to continue to breastfeed because of the support and information they received. The service is vital for women yet we rely on funding from the charity, goodwill and fundraising appeals to provide it. Given the impact of the service upon maternal and infant health and wellbeing we are calling for the Government to reverse cuts to the Public Health Grant and to provide funding to support the continued work and expansion of the service’. The BfN Drugs in Breastmilk Service can only continue with sufficient funding. To donate to help keep the Drugs in Breastmilk Information service running, text BFNDIBM to 70085 to donate £3. This costs £3 plus a standard rate message. Alternatively, you can opt to give any whole amount up to £20 by texting BFNDIBM 5 to donate £5, BFNDIBM 15 to give £15. One of the founding members of the Breastfeeding Network (BfN), and their resident pharmacist for over 20 years, Dr Wendy Jones, will receive an MBE at Windsor Castle this Friday. Wendy set up the BfN Drugs in Breastmilk information service in 1997 after being asked to update a basic information pack about the safety of drugs in breast milk. Gradually the service grew and now she now leads a small team of volunteers who offer individual support to more than 10,000 families and healthcare professionals each year via email and social media. On hearing about the award, Wendy said: “I couldn’t be more proud that I have been awarded an MBE as Founder of the Breastfeeding Network Drugs in Breastmilk Service for services to Mothers and Babies. In 1995 when I wrote the first information on drugs in breastmilk I could never in a million years have imagined this happening. I followed my dreams and the opportunities given, massively supported by my family and particularly my husband Mike who gave me the opportunity to leave paid work and develop my passion. Nothing I can do would be possible if breastfeeding advocates didn’t spread the word that you can breastfeed as normal when you take most medication or there are ways around it. So, this MBE is for all of you too for all the hard work you do in groups, on the helplines, face to face, via social media and just at the school gate or supermarket checkout. You are all amazing. Earlier this year Wendy was also awarded a Points of Light award by the Prime Minister. The BfN Drugs in Breastmilk Service can only continue with sufficient funding. To donate to help keep the Drugs in Breastmilk Information service running, text BFNDIBM to 70085 to donate £3. This costs £3 plus a standard rate msg. Alternatively, you can opt to give any whole amount up to £20 by texting BFNDIBM 5 to donate £5, BFNDIBM 15 to give £15, etc. Over the past 40 years, Community Pharmacist Dr Wendy Jones has made a huge impact on the lives of thousands of families across the UK. In this time she has helped people manage issues such as weight loss, cardiovascular disease and smoking cessation alongside her general pharmaceutical duties, but her real impact has been felt by new mothers. Wendy has dedicated her life to researching the effects of medication and medical treatments on breastfeeding mothers and their babies. In 1997 she was one of the founder members of national charity The Breastfeeding Network, and in 1999 she set up the Drugs in Breastmilk helpline. This telephone helpline was set up in response to the number of questions the charity was receiving from breastfeeding mums about prescribed medications. At that time there was no easily accessible, reliable information for mums who had been told to stop breastfeeding in order to take certain forms of medication. Wendy has singlehandedly filled this gap. In many cases where a mum is told to stop breastfeeding, there is no evidence to support the need for this. The mum can be left feeling she has no choice but to stop breastfeeding (even if she wants to continue), or she may choose not to take the medication prescribed. The impact of having to make a decision like this can be far reaching for some mums. In a very few cases, evidence shows the mum does need to stop breastfeeding, and then, being able to understand the reasons behind this may help the mum with this process. In most cases, the evidence shows the mum can continue breastfeeding safely and for many, to know this is possible is a huge relief. Over the years, the service Wendy provides has grown – she now leads a small team of volunteers who offer individual support to more than 10,000 families each year via email and social media. 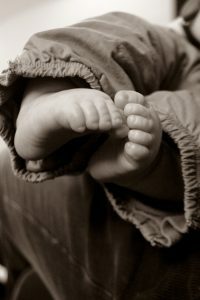 She is contacted by mums and families, as well as health care professionals. She has also written more than 50 information sheets about the most common medications breastfeeding mums ask about – these infosheets cover everything from postnatal depression and anxiety to cold and cough remedies, to contraception, hayfever, headlice and norovirus. She was awarded a PhD in 2000 and has written several books on this topic, as well as speaking at numerous national and international conferences, study days and other events. She is extremely well known and highly regarded by breastfeeding supporters across the world. Her knowledge, patience, understanding and support has been felt and appreciated by thousands of families. With her unending, selfless commitment and passion Wendy is an inspiration to many. Her work is so far reaching, it is impossible to measure the difference she has made. 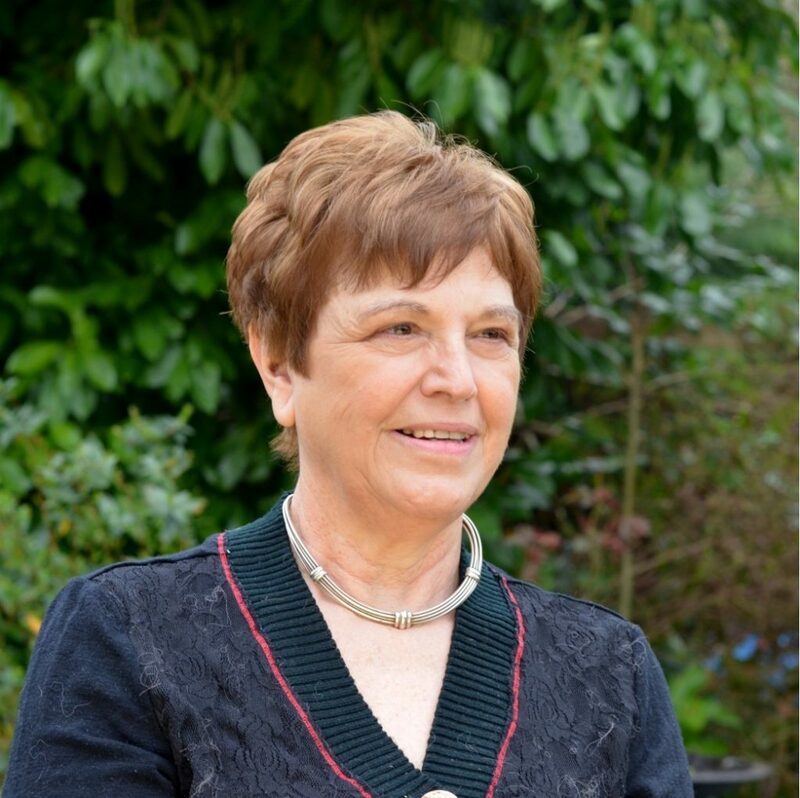 One of the founding members of the Breastfeeding Network (BfN), and our resident Pharmacist for over 20 years, Dr Wendy Jones, has been awarded MBE in Queen’s New Year’s Honours List for 2019. 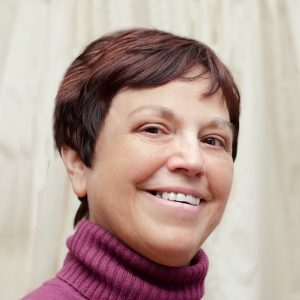 Wendy set up the BfN drugs in breastmilk information service in 1997 after being asked to update an information pack about the safety of drugs in breast milk. Gradually the service grew and now she now leads a small team of volunteers who offer individual support to more than 10,000 families and healthcare professionals each year via email and social media. Wendy said: “I couldn’t be more proud than I am today that I have been awarded an MBE in the New Year’s Honours List as Founder of the Breastfeeding Network Drugs in Breastmilk Service for services to Mothers and Babies. “In 1995 when I wrote the first information on drugs in breastmilk I could never in a million years have imagined this happening. 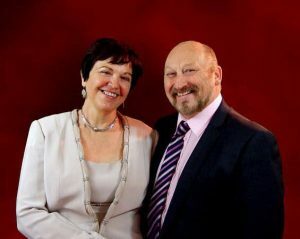 I followed my dreams and the opportunities given, massively supported by my family and particularly my husband Mike [pictured above with Wendy] who gave me the opportunity to leave paid work and develop my passion. “Nothing I can do would be possible if breastfeeding advocates didn’t spread the word that you can breastfeed as normal when you take most medication or there are ways around it. So, this MBE is for all of you too for all the hard work you do in groups, on the helplines, face to face, via social media and just at the school gate or supermarket checkout. You are all amazing. In 1997 she was one of the founder members of The Breastfeeding Network, and in 1999 she set up the Drugs in Breastmilk helpline. This telephone helpline was set up in response to the number of questions the charity was receiving from breastfeeding mums about prescribed medications. At that time there was no easily accessible, reliable information for mums who had been told to stop breastfeeding in order to take certain forms of medication. Wendy has single-handedly filled this gap. Shereen Fisher, BfN’s CEO, responds to Health and Social Care Secretary Matt Hancock’s vision for prevention released yesterday, and how it relates to investment in breastfeeding support. The future of health in the UK is dependent on us all getting really serious about prevention. Currently the NHS spends £1 in every £5 on health problems that are a direct result of our lifestyle such as obesity and poor diet. We are told that not only will prevention help reduce the strain on the NHS but it will also improve all our health. Getting serious about prevention must include getting serious about community level investment to enable all mothers who choose to breastfeed to do so, given the substantial evidence that links breastfeeding with improved health. The Lancet series on breastfeeding offers the most comprehensive review of all the evidence on breastfeeding to date and highlights breastfeeding’s role in the UK prevention agenda. Importantly UK women and babies offer policy and health leaders an attractive opportunity. While breastfeeding rates in the UK are the lowest in the world the rates of initiation – women starting to breastfeed – have been increasing for the last 20 years (81%). Scotland’s infant feeding statistics (November 2018) show signs of positive change – no happy accident but consequence of national leadership, strategic planning, partnership and sustained investment. Women’s intention to breastfeed offers an important opportunity for health and wellbeing both for babies (next generation) and women themselves. However, individual will has to be met with support that effectively improves a mother’s breastfeeding experience and helps sustain her choice to breastfeed. Peer support can make a big difference here especially as over time it offers the chance for areas to recreate a culture where breastfeeding is familiar. We also know that choice isn’t made in a vacuum but is heavily influenced by family members, hospital care, health care professional advice and societal views. Patient empowerment is an important theme in the vision of healthcare for the future yet women feel constantly disempowered in their efforts to breastfeed through the lack of support available to them. With the NHS celebrating a landmark anniversary alongside £20 billion a year in extra cash now announced NHS leaders will be putting forward a 10-year plan that will make crucial decisions about how the service will spend the money. In the planning no doubt demands will be high, as cancer survival rates, mental health support, health inequalities and an aging population all vie for consideration, how should we use the government’s cash boost to tackle the priorities that matter most to us? In the debate let’s remember the substantial benefits to health in breastfeeding for mother and baby as well as the sheer economic and environmental sense that breastfeeding makes. The potential savings into the billions are important here because we all know that the cash boost being offered by government to the NHS and social care isn’t going to be enough. While the additional £20 billion a year (in five years) has already been welcomed, the Kings Fund has pointed out, that this does not come close to the amount required to improve services after years of underfunding. On social care, the budget announcements will not be able to undo the cuts in services and underfunding of local government that has already occurred. These cuts that have caused losses to breastfeeding support services, many of which are located in areas of low breastfeeding rates and run by volunteers and supported by charities. Knowing how the money works to support breastfeeding is essential and it is currently hard to know this in England. What we do know is that funding for community-led breastfeeding peer support has been cut because it sits within a shrinking public health budget devolved to local authorities. Despite excellent evidence-based commissioning guidance on infant feeding for local authorities breastfeeding support services in communities is entirely optional. This has led to mothers who choose to breastfeed being unable to access local services and leaves them failed and let down. This is just too precarious a situation for a public health priority as important as breastfeeding that if better funded and supported could serve us well in the prevention of infant mortality, obesity, type 2 diabetes, ovarian and breast cancer …. If we are going to get serious about prevention in health then there needs to be a clear strategy and leadership for breastfeeding. Government’s role is key here in taking responsibility for building an environment that promotes, protects and supports breastfeeding, not just for the next year but for the next 20 years. Protect all families from aggressive marketing of formula companies by enacting into UK law the International Code of Marketing of Breastmilk Substitutes and subsequent relevant resolutions (NICE recommended). Require employers to provide breaks to breastfeeding mothers to allow them to breastfeed or express milk at work. With careful, long term thinking and action the prevention agenda offers great focus to help us plan the health and wellbeing of the UK for the future. The health of women and babies will be stronger still for joined-up planning and provision of quality breastfeeding support. Let us not forget all our responsibilities in supporting breastfeeding and ensuring that its role in the prevention agenda is fully acknowledged. 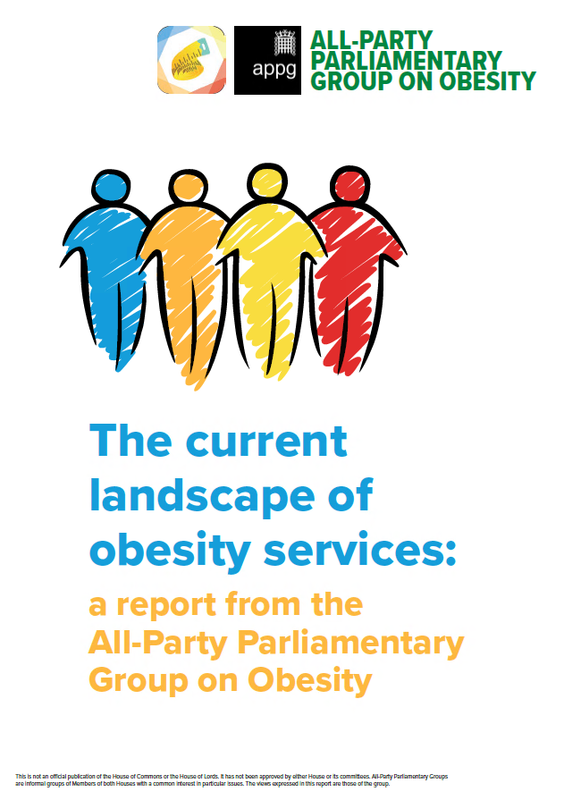 On 15th May the All Party Parliamentary Group on Obesity launched its report on the current landscape of obesity services. 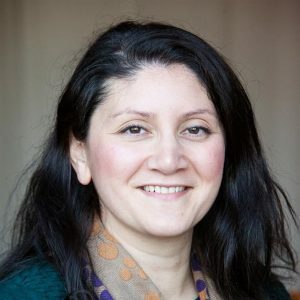 ‘With overweight and obesity costs in the UK estimated to be at least 27 billion every year and recent headline news that obesity is poised to overtake smoking as a key cause of cancer it is no wonder that national leaders are championing for change’, said Shereen Fisher, CEO of Breastfeeding Network who attended the event in Parliament. She said, ‘We agree with the report’s key recommendation that “A national obesity strategy for both adult and childhood obesity should be developed and implemented by the Government, with input from key stakeholders. This should look to strengthen existing services and replicate best practice across the country. However we were disappointed to see there is no mention of how babies are fed anywhere in the report despite recognising “One in five children are already overweight or obese before they start school”’. There is a wealth of evidence about the importance of breastfeeding, support for responsive bottle feeding and timing of starting solid food and the difference this can make to both child and maternal obesity levels. The Obesity report recognises that: “There needs to be a co-ordinated, whole-system approach to the prevention of obesity at both the local and national level considering the impact of the environments in which people live, including the total household income, as well as the amount and type of food they consume.” and so there is clearly understanding that how infants and children are fed has both an immediate and long term effect on their health. With the role of the Obesity APPG being to consider prevention through to treatment for obesity it is vital that the evidence for nutrition and the role that breastfeeding plays is considered and understood. The long awaited SACN (Scientific Advisory Committee on Nutrition) draft report ‘Feeding in the First Year of Life’ will provide important review of the evidence affecting nutrition useful for the work of the APPG on Obesity. 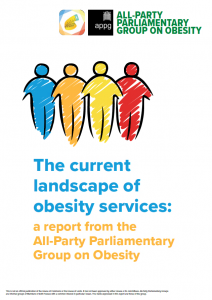 Last year the Government published its childhood obesity strategy. The top line in this was the soft drinks industry levy. The Breastfeeding Network would like to see the Government go further in taking action to implement the recommendations of the Obesity APPG AND include evidence and support for breastfeeding which will go a long way to support better health outcomes for women and children regardless of their backgrounds. 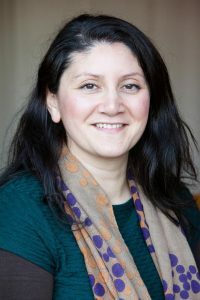 ‘With the effects of obesity disproportionately centred on poorer children and families the important role of breastfeeding, which offers the same health and emotional benefits to all babies regardless of background, needs important attention in any future obesity strategy that cares about narrowing inequalities‘ says Shereen. While focus on the problem of pervasive junk food advertising at children and families is important we must not ignore the role of early years nutrition from pregnancy and beyond. As a recent tweet said ‘…the problem of obesity begins long before a child is able to eat crisps’. The Breastfeeding Network was dismayed to read the recent report ‘Don’t Push It’ from Save the Children, highlighting the marketing practices of formula milk companies around the world. The report looks at mainly practices in developing countries such as the Philippines and Myanmar where formula is aggressively marketed at healthcare professionals and families, and the cost of providing formula for a baby can make up a huge proportion of a family’s income. It also looks at the danger of making up formula safely in countries with limited access to sufficient, safe and affordable water and adequate sanitation. The problem of aggressive marketing tactics is global, and while the report shows that those in developing countries suffer most, this isn’t just an issue in those countries, but also right here in the UK. We know that the families least likely to breastfeed are those living in the most deprived communities, and that the cost of formula is excessively high. Healthy Start vouchers are available, but if families have to use them to buy formula milk, they then can’t be used to buy other, healthy foods that all the family can access. The lack of a breastfeeding culture in the most economically deprived areas of the UK means that children born in those areas are subject to some of the worst health inequalities. Baby Milk Action produce a report ‘Look at what they’re doing in the UK’ which highlights some of the ways in which marketing and claims of infant feeding products here in the UK cause parents and healthcare professionals to be misled. Conflicting ‘advice’ from commercial sources can cause confusion and anxiety amongst new parents eager to make the best choices for their children. The Breastfeeding Network works to support all families and aims to target that support particularly in areas that have the lowest breastfeeding rates, which often are also the most economically deprived areas. By providing independent, unbiased, evidence based information for families, they are able to make their own informed choices about how they feed their babies. We support the recommendations in the Save the Children report but we also urge the Government to consider better regulation and enforcement of current laws in the UK, as well as providing funding for good quality support for all families to ensure optimal health for all mothers and their babies. Independent, unbiased information on formula milk products is available on the NHS Choices website and from First Steps Nutrition. For independent, evidence based breastfeeding support and information, call the National Breastfeeding Helpline on 0300 100 0212. The Breastfeeding Network (BfN) welcomes the publication of the Scottish Maternal and Infant Nutrition Survey. It offers a useful insight into maternal and infant nutritional health in Scotland and this research is desperately needed since the cancellation of the UK-wide Infant Feeding Survey in 2010. The Scottish survey shows that most women do want to breastfeed their babies, and that most babies receive some breastmilk, but, it also shows that there are big drop off rates, particularly in the first eight weeks. With more than 20 years of experience supporting families, BfN understands that many women do find breastfeeding challenging, especially in the early days, and this is highlighted in the report. Breastfeeding is a skill that has to be learnt and most mothers and babies usually need a bit of practice to get it to work for them – it is completely normal in our society for women to need support with breastfeeding and our experience tells us that many of the challenges mentioned in the report can be overcome with access to good quality information and support. The report shows that voluntary peer support for breastfeeding is difficult to access for many families, but that it is wanted (almost a fifth of mums felt having access to voluntary support would have been helpful), and where it is available, it is very helpful. The report suggests that dedicated peer support is very important to parents, in addition to support offered from healthcare professionals. Scotland continues to face persistent health inequalities amongst the population and BfN believes that creating an enabling environment to support all families regardless of background or social standing to breastfeed could help reduce this ever-widening gap. The report highlights that babies in more deprived areas are less likely to receive any breastmilk at all (65% of babies in the most deprived areas received any breastmilk vs 86% in the least deprived areas). Overall, it is encouraging to read that nearly three quarters of babies were receiving some breastmilk at six weeks old and 57% at six months – cautious comparison with the 2010 Infant Feeding Survey suggests that mothers who breastfeed now are doing so for longer than they did in 2010. The high intention rate to breastfeed amongst women is also an important opportunity that requires Scottish Government, working with others, to act responsibly to address the support needs, so those intentions can be fulfilled, and Scottish women and babies can be supported in achieving optimal health. As a voluntary organisation working in Scotland, this report will help us to target even further the work we do, and we hope that the longer term impact of the report is that all families across Scotland will be equally able to access good quality, evidence based support to enable them to make informed choices about how they feed their babies. The Breastfeeding Network welcomes this new research to explore cash incentives to encourage breastfeeding, targeted in areas where breastfeeding is unlikely to happen. With such a substantial body of evidence showing the benefits of breastfeeding for both mothers and babies, we believe everyone should have the right to make an informed decision about how they feed their baby – and to receive support, if they need it, to make it work for them. Just because a family may happen to live in an area where there is little or no culture of breastfeeding, it shouldn’t mean they should be overlooked – and this study aimed to test what might make a difference in those areas. We should remember that the availability of good quality breastfeeding support is lacking in many, if not most communities across the UK and we know that support is what makes the difference for many families on their breastfeeding journeys. We should also be mindful that if more mothers were to choose to initiate breastfeeding, for whatever reason, there would be an even greater need to provide additional support services for all families.